The 2015 PBA Commissioner’s Cup saw the NLEX Road Warriors and Rain or Shine Elasto-Painters continue to roll at the expense of the Meralco Bolts and Barako Bull Energy respectively. The Rain or Shine Elasto Painters moved into a tie for second play after defeating Barako Bull, 103-91, to leapfrog past their victims in the PBA Commissioner’s Cup standings on Friday at the SMART-Araneta Coliseum. Import Wayne Chism scored 32 points, while Paul Lee added 16 points, 6 rebounds, and 6 assists off the bench as Rain or Shine, which entered the game tied with Barako in third place, improved to 5-2. 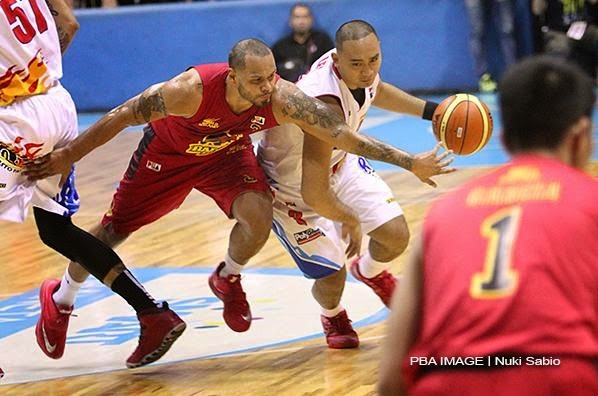 They tied Talk ‘N Text in the standings, while Barako Bull dropped into a four-way tie at 4-3. Rain or Shine led by 13 points, 53-40, at the halftime break but opened the third period on a 9-2 run to take its largest lead of 20 points, 62-42. 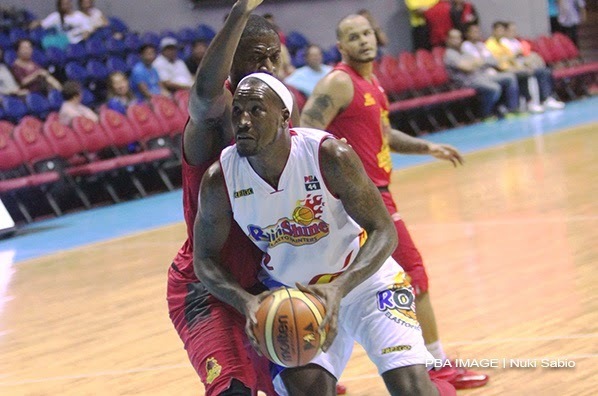 Solomon Alabi had 23 points and 13 rebounds for Barako Bull. He was backstopped by JC Intal’s 19 markers, 7 boards, and 4 dimes. 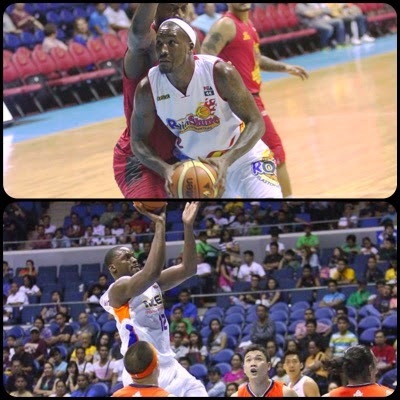 Line of the Game: Wayne Chism (ROS) - 32pts, 7rebs, 1ast, 1stl, 1blk, 11/21 FGs. 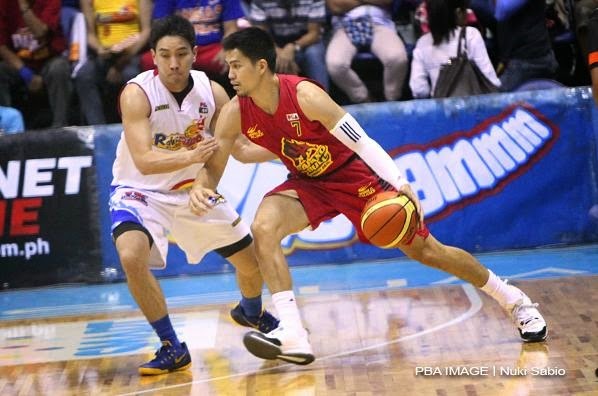 JC Intal had another brilliant showing, but it wasn't enough to push Barako Bull past ROS. 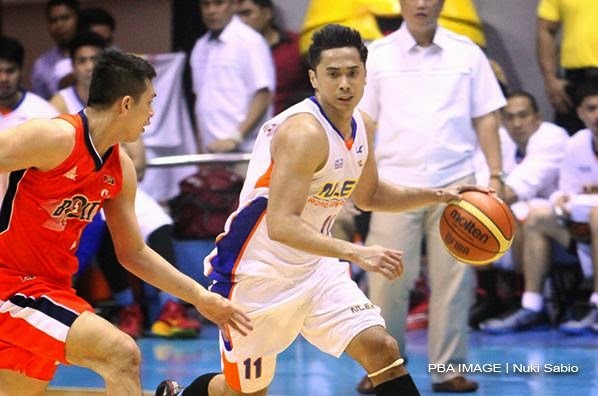 Paul Lee provided a spark off the bench by dropping 16 points for the Painters. Wayne Chism continues to put up big numbers in his second tour of duty with Rain or Shine. 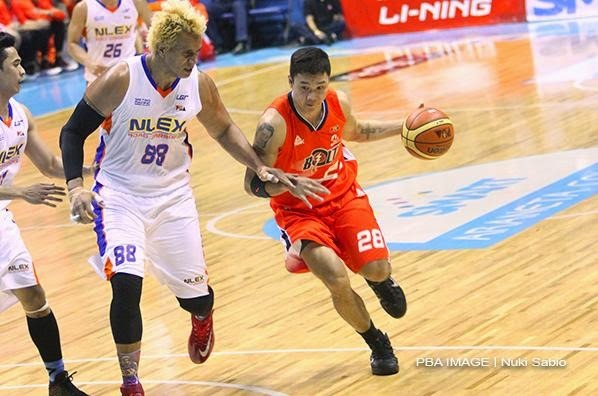 The NLEX Road Warriors added another notch to slumping Meralco’s loss column after an 89-76 victory in PBA Commissioner’s Cup action on Friday at the SMART-Araneta Coliseum. Import Al Thornton scored 36 points and grabbed 16 rebounds in another dominant showing for NLEX, while KG Cañaleta provided some fireworks late as he scored 13 of his 16 points in the fourth quarter. Cañaleta hit some big shots in the endgame, scoring 11 of the last 17 points for the Road Warriors, including three three-pointers in the last six minutes of the game. He capped the victory by knocking down a final triple with 1.9 seconds left in the game. NLEX improved to 3-4 while handing sister team Meralco, which won its first five games in the current conference, a second consecutive defeat. The Bolts dropped into a three-way tie for first place with Rain or Shine, which won in the first game of Friday’s double-header, and idle Talk ‘N Text. Gary David finished with a season-high 28 points for Meralco, while the ailing Josh Davis, who returned after missing the second half of the Bolts’ game last Saturday, put in a gutsy performance with 19 points and 11 boards before fouling out. Line of the Game: Al Thornton (NLX) - 36pts, 16rebs, 2asts, 1blk. 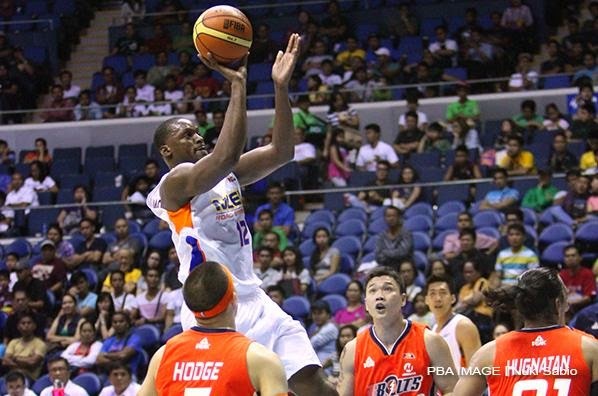 Al Thornton's big game towed NLEX to its second straight win. El Granada popped the cap for 28 points, but Meralco still fell short of the W.
Jonas Villanueva struggled from the field, but he still played well enough to help the Road Warriors move up in the standings. 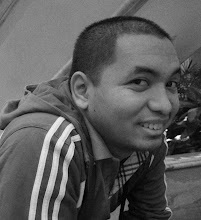 Images are by Nuki Sabio/PBA.